One of the high points in a Beauty Editor’s life is the thrill of seeing sleek, shiny and straight-off-the-runway bags of new season makeup goodies sitting on your desk when you walk into office. And personally for me, there is little that gladdens the heart more than the chic interlocked Cs of Chanel, stocked to overflowing with pretty colours and even prettier textures. However, while Peter Philips, the brand’s Global Creative Director for Makeup, has been making huge waves with his covetable nail polishes during the last few seasons, what I have really missed is Dominique Moncourtois‘ so-gorgeous-that-you-can’t-bear-to-use-them palettes – remember the Les 4 Camelias de Chanel or the Les Tentations Tweed Effect Blush? – that are still sitting in my showcase (note, showcase not dressing table – yes, they are that pretty). 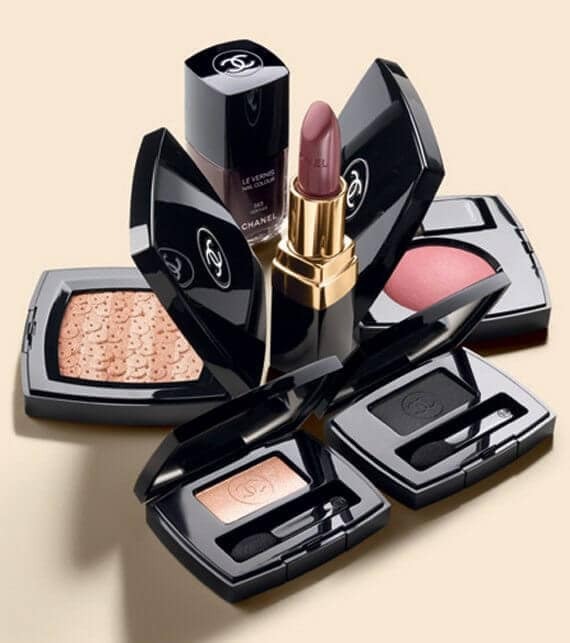 So, it’s really exciting to see Philips go back to that glorious tradition, first with the archive-worthy Poudre Compacte in Route des Indes and now with the Lumiere D’Artifices Beiges Illuminating Powder with Shimmer, which is part of the just released Les Essentiels de Chanel Fall 2012 makeup collection. 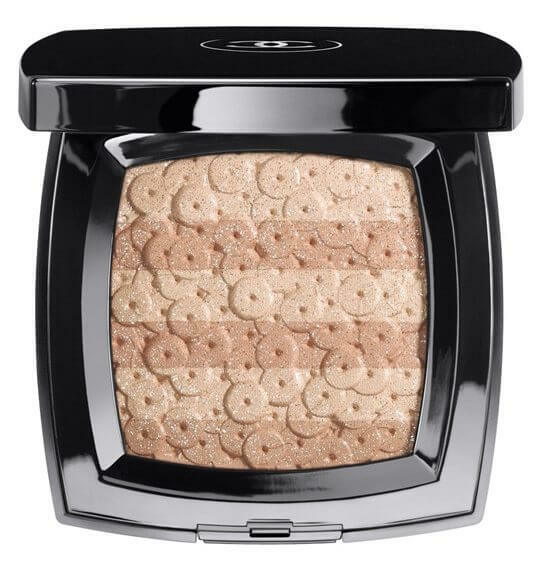 Though I wouldn’t exactly call it “new”, since Dominique did a very similar sequin-and-thread pattern with gold, silver and white eye shadows back in 2007 (Chanel Lumière d’Artifices Eyeshadow), the Lumiere D’Artifices is definitely going places with its interplay of light and dark beige shades, which blend to create a subtle iridescence that seems to extend the glow of sunny, summery days. Unfortunately, the shimmer in this illuminating powder is only an overspray, which wears off with just one swipe. The overall effect is pretty but I see it working more for cooler skin tones and still think that the Lumière d’Artifices was more stunning and definitely more collectable where pure gorgeousness is concerned. Now, what Philips does really, really well is nail polish and the Fall 2012 collection is sure to have another super-hit in the form of Vertigo ($27) – an almost black lacquer with an undertone of shimmery red particles that reveal themselves according to the light. It’s the shade that Jac is wearing in the campaign image and at first glance may seem quite similar to Paradoxal or Black Satin – two of Chanel’s earlier superstars. However, Paradoxal is more purple-ish while Black Satin is, well, just black (check this post by Sabrina from The Beauty Look Book for comparisons with similar colours). 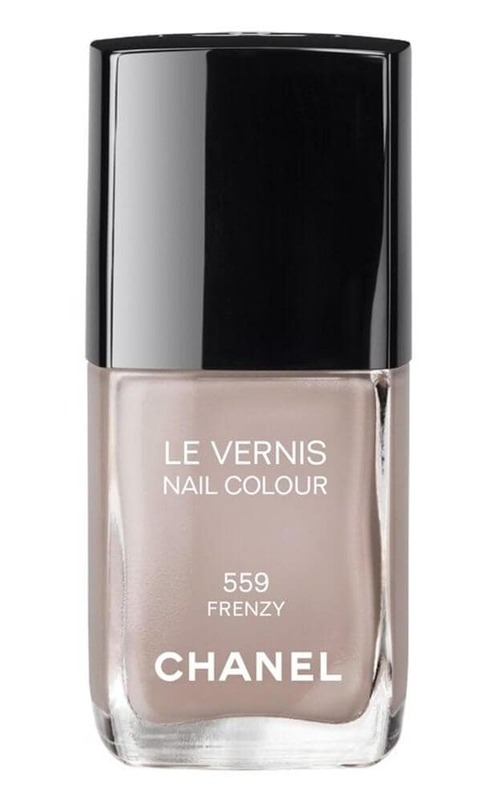 Of the other two hues, Frenzy is a milky greige (what’s with all the brands trying to reinvent greige again this season? 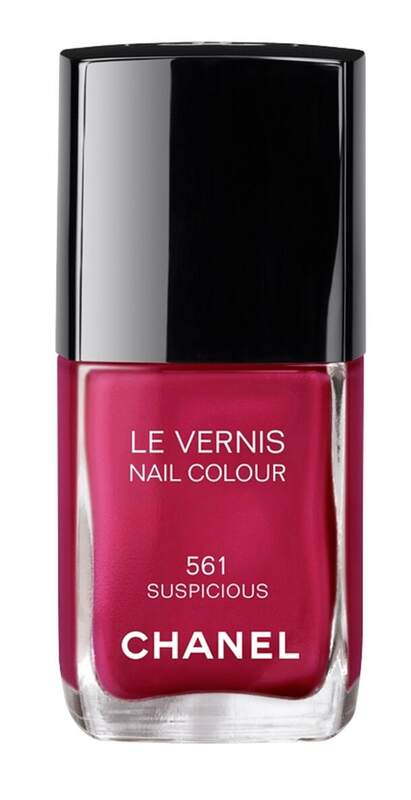 ), with a hint of lavender; while Suspicious is a bright fuchsia red. 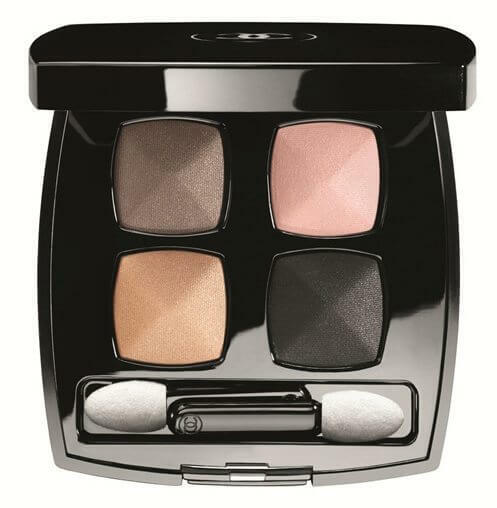 Then there is the Chanel Quadra Eye Shadow in Premier Regard ($62) – a beautifully neutral palette with shades of velvety beige, subtly shimmery taupe grey, soft pink and deep black. The shimmer is very subtle, so it’s very wearable all year round and not just for Fall’s party months. All four shades have different textures, ranging from shimmer, completely matte, matte with sparse shimmer to pearly. Plus, there is medium colour pigmentation with buildability, so chances of getting it wrong are pretty non-existent. The collection also has a range of single Soft Touch Eyeshadows ($34), which run the gamut from a sheer gold (Eclaire) to a matte black (Noir) – these might be a better bet for darker skin tones, who will find that the soft pink and beige don’t really show up much on their eyelids, making half of the Quadra palette redundant. The Chanel Stylo Yeux Waterproof Long Lasting Eyeliner ($30) in Noir Intense is a darkly pigmented black that’s just soft enough to apply easily without tugging. 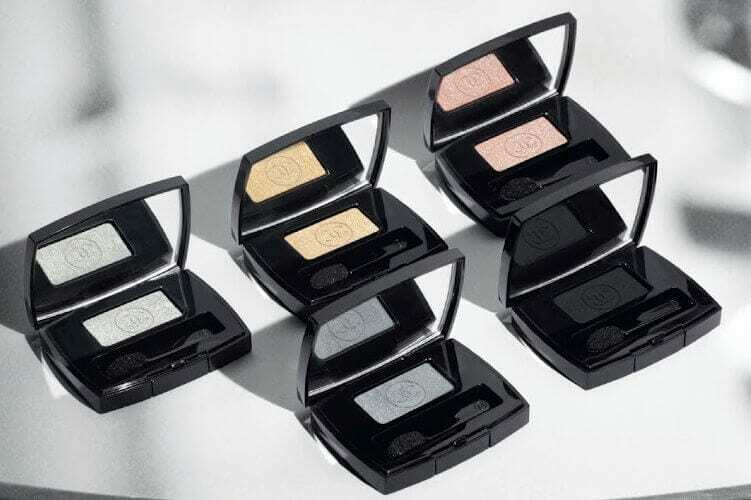 With black eyeliners it’s a balancing act between the softness that gives greater pigmentation and a harder texture that makes it less prone to smudging – in Noir Intense, Chanel manages to find the perfect equation. However, it’s not a standout performer and I would much rather stick to MAC’s Eye Pencil in Engraved, which is my usual pick for the ultimate sooty black eyeliner. Instead, if I had to pick a liner from this collection, it would be Silver Light, which is a gorgeously shimmery limited edition. 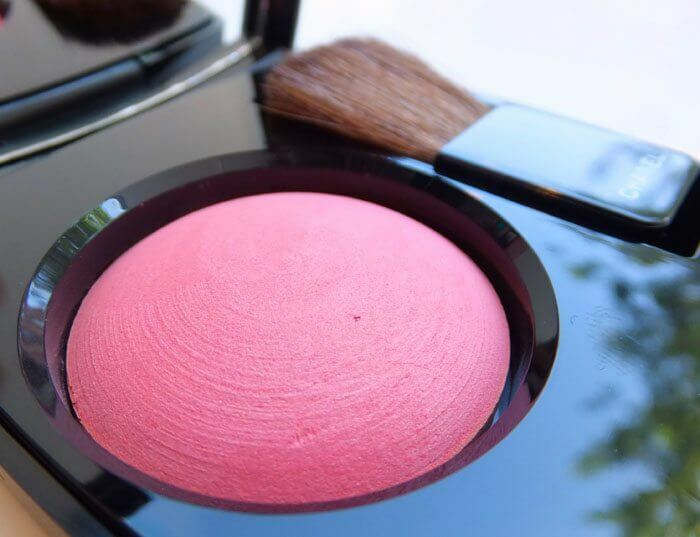 The Chanel Powder Blush in Rose Initial ($48) is rosy pink with super-subtle light-reflecting properties. In the pan, it looks bright pink, though on my skin I detected maybe a tiny hint of peach (maybe because of the fine shimmer that gives a glow to the skin). Like most of Chanel’s powder-based products, this one is also perfumed, which doesn’t bother me but might be an issue for someone with a sensitive nose. Texture-wise, this is a powder version, which I prefer to the baked compacts that sort of become too dry over time. Amongst the lip colours, the anchor point is the Rouge Coco Shine lipstick in Chic ($39), which is a sheer beige sheen with fine gold shimmer, while the shimmery Glossimer Lip Gloss in Sweet Beige ($31) is a slightly sugary beige. Another standout is the Rouge Allure Extrait de Gloss ($32) in Troublant – a violet-plum brown shade with a high pigment load for more opaque shine. 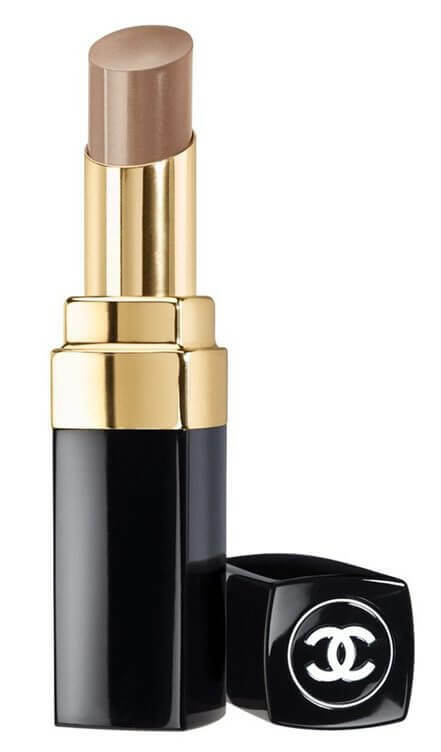 My favourite, however, is the Rouge Double Intensite Ultra Wear Lip Colour ($34) in Almandine, a red-plum that Jac is wearing in the campaign shoot. The colours and textures are interesting though some of them seem to be rather too heavily inspired by the brand’s past bestsellers and there is an element of playing it safe that underlines all the products. 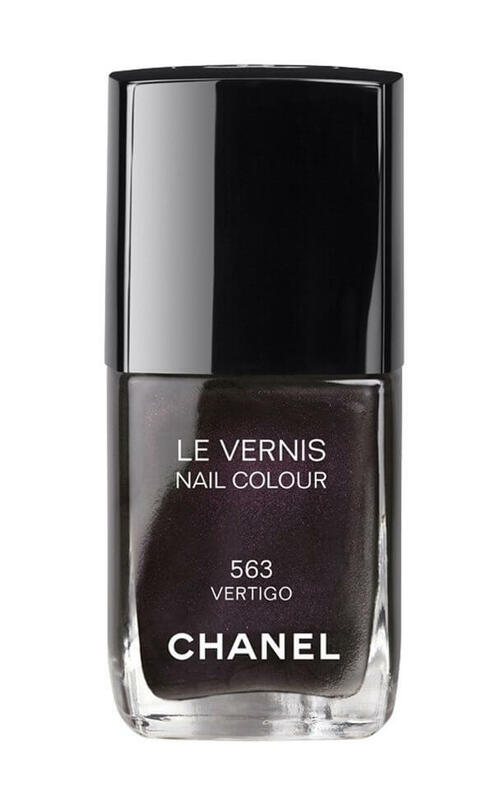 Except for the nail polish in Vertigo and maybe the lip colour in Almandine, there doesn’t seem to be any standout shade for which you wouldn’t find a close enough match in another brand or even in Chanel’s own archives. C’mon Peter! Where are the equivalents of all those gorgeously experimental and thoroughly memorable jades and denims of seasons past??? ?